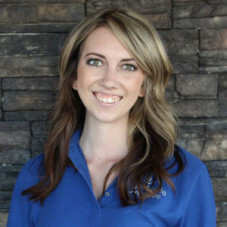 After beginning her career in the Retail Industry, Ashley brought her progressive customer service experience with her to Blue Marble in 2013. As the first line of communication for new proposals and bid packages, Ashley is often the critical point of contact for new clients. Ashley’s commitment to that client relationship has proven to be invaluable as her job also requires her to coordinate and relay community information to those same clients. With a love of the outdoors- and especially warm weather, Arizona was a perfect fit for Ashley; having moved here from New York as a child! Her high spirit and energetic work ethic entice those she works with to enjoy the little things in life. Her passion for helping people is just a small sample of her vibrant character. In her spare time, Ashley enjoys spending time with her husband and dog!